Keeping the globally accepted packaging norms in consideration, we make certain that the packaging is done under the strict supervision of experts and professionals. Buyers can stay rest assured about the quality of our products as we check each and every product at diverse stages. 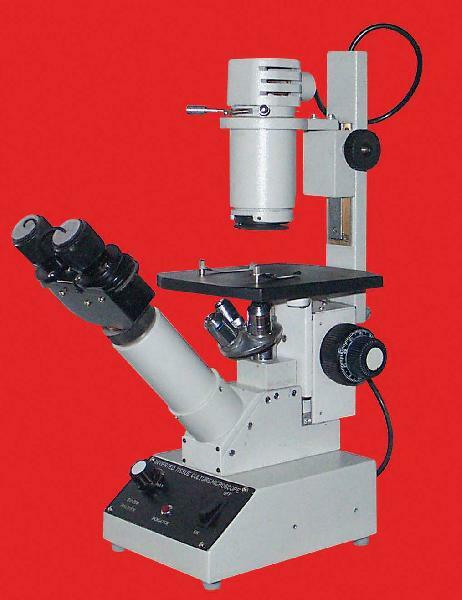 Used for examination of live tissue culture, Plankton, Living protozoa etc. in Petridish, culture bottle etc. Fitted with Binocular Head assembled from coated prisms. Quadruple revolving Nose piece, Coarse & Fine graduated slow motion. Large stage with extension plates for large bottles & microfilter work. Provided with two stage clips and a removable central insert. Supplied in a sturdy plywood box with all standard accessories.